ElkNut is the cutting edge of elk calling and hunting technology. With thirty years of elk hunting experience, Paul Medel and his company, ElkNut Outdoor Productions, author of myriad elk hunting books, articles, movies, CDs, and blogs, has raised elk calling training to the next level with ElkNut though his partnership with Got Game Technologies. Together, they have taken what he has learned in three decades of 100 percent elk hunting success on over the counter, do it yourself hunts, and put it together in one easy to use, accessible, and understandable location: ElkNut. 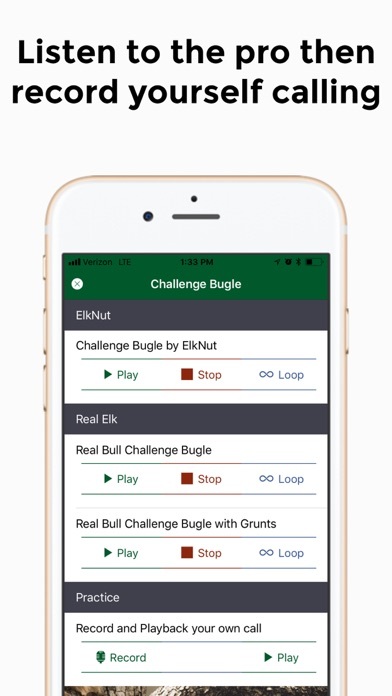 ElkNut helps you become a better elk caller and hunter through: - Video content teaching you how to choose a mouth reed from the many options on the market place to make the most realistic elk sounds. 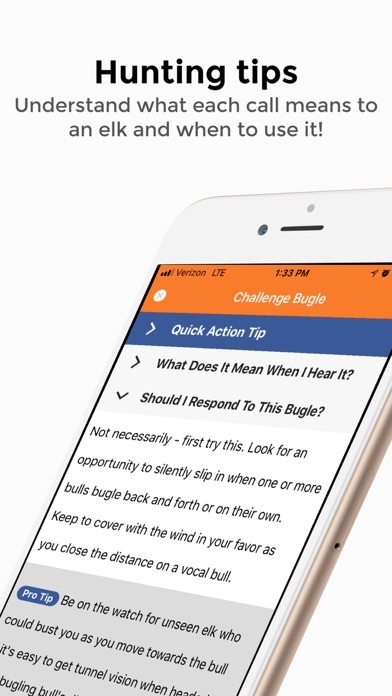 - Video content offering guidance on mouth reed placement with specific instruction for both bull and cow elk sounds. - Featuring twenty one of the most common and most important bull and cow elk sounds, including: - Location Bugle - Challenge Bugle - Nervous Grunt - Chuckles - Advertising Bugle - Grunts - Round Up Bugle - Lip Bawl Bugle - Social Cow/Calf Talk - Contact Buzz - Bulls Panting - Growls - Separated/Lost Cow - Whines Going to Bull - Nervous Grunt/Round Up Bugle - Cow Bugles - Alarm Barks - Retreating Cow Mews - Pleading Cow/Calf Mews - Glunking - Regathering Mews - Four included Sequences: - Blind/Cold Calling Sequence - Advertising Sequence - Breeding Sequence - Creative Cow Calling - Five included Tactics: - Four Estrus Cycles - Utilizing a Full Moon - Wallows, Waterholes and Mineral Licks - Tips for New Hunters - ElkNut Nuggets - Audio content of both the ElkNut and real elk making each sound so you can practice and measure your progress. - Incorporating microphone on device so you can record yourself making the sound and compare to the real elk and ElkNut audio. - Video instruction demonstrating how to make each sound, with technical details that only an expert can teach you. 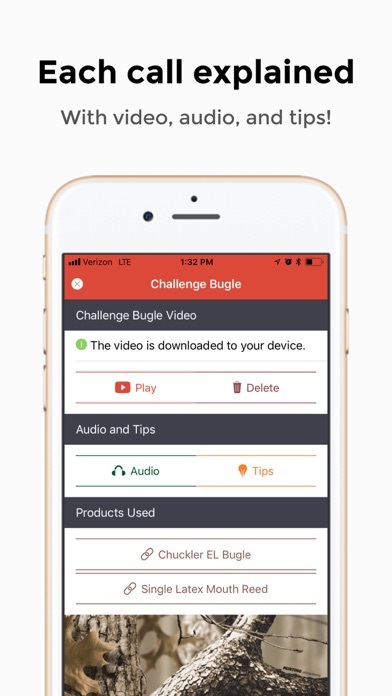 Downloadable so you can take these videos with you on the hunt! 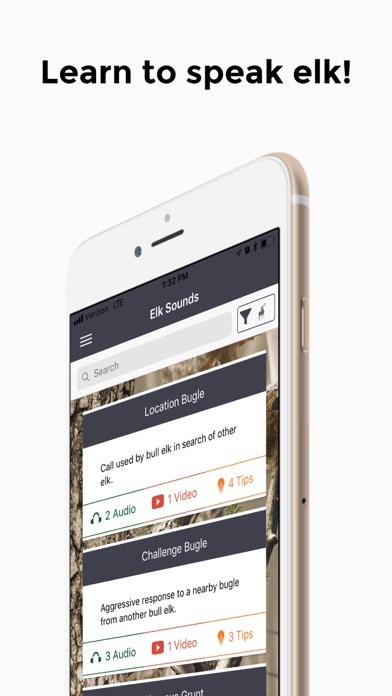 - Hunting tips categorized by elk sound with tried and true pointers that will help you know what these sounds mean to other elk, when to use them in the field, and how an elk will respond to it when you do. - Special quick action tips that are readily accessible at a moment's notice to figure out what sounds you've been hearing from elk in the field. - Highly effective Pro Tips that provide insight only gained from years and years hunting elk that help you give yourself the best chance to find and harvest the elk of your dreams. - Links to resources where you can find the elk hunting products you need to be successful. This app is amazing! I learned more about elk talk from this app than the last 10 years in the field. It really put a lot of the missing pieces of the elk calling puzzle together and I’ve immediately had success in the elk woods using the Elk Nut tactics. Thanks so much! Great app that has everything you need for elk calling. This app is well worth it. Very impressed with how easy this is to navigate. Just got done downloading the app & it’s a breeze learning to navigate through the different pages and screens. Awesome content and very informative. Plan on using these tips for my 1st elk hunt in Idaho this season. Thanks Paul sr. , Paul jr , and the rest of the crew! For Paul and crew to sell this at such an inexpensive price is nothing less than charity for the elk hunting community. The app should easily cost 10x as much. Just buy it and use it. You will become a better elk hunter. I wasn't aware there was an app until I watch Paul's seminar on YouTube. This thing is great! It's two months before the season and I am jonesing to elk hunt. I love how the side by side comparison of real elk calling with Paul demonstrating the call(s). I haven't even begun to delve into what this app has to offer. The little I've discovered so far, this is a handy educational tool in your elk hunting tool belt. Nicely done Paul! Worth way more than $5! Simply world class knowledge. 2017 season my hunting partner brought in an elk with what we learned here. Furthermore, and I feel the most important part, was we now were beginning to understand what was actually being said! This app is great for teaching you to call and understand situations. It also broadens your overall knowledge of Elk that proves very valuable in the field. An educated Hunter is a dangerous one! Paul is a true inspiration and we are very blessed that he chose to offer up such a wealth of info. Thanks! I just want to say how impressed I am with, not just Paul’s knowledge and experience, but with his willingness to help hunters learn how to become students of elk hunting. For $4.99 this app is a no brainer for any elk hunter wanting to become better at their craft. Elk hunting has never made more sense to me. I successfully called in a bull for a buddy in 2016 and it was really cool, but other than knowing how to cow call well I was clueless on what the bull was actually saying when he hung up at 184 yards in an open meadow. He kept nervous grunting and I was fascinated by the sound, but didn’t understand it. Now I understand what he was saying and why he hung up. I love the sequences, tactics, tips sections, videos, ability to record myself and compare my sounds to real elk and ElkNut sounds. To put it simply there is nothing else like this anywhere out there. It’s is cutting edge and worth it’s weight in gold to all elk hunters, even seasoned guys. Ever since I heard Paul’s podcasts I’ve been hooked. You guys rock. I wish it was fall right now!!! Your willingness to help people is very admirable. Get this app, you won’t be sorry! OK. You can’t get this kind of information at your fingertips anywhere else for $5. If you’re paying $6 for a Mountain House, do yourself the favor and get this App. I can’t believe how much information and now even interactive ability there is. Including recording yourself calling to see how you really sound in comparison, rather than how you “think” you sound. I always worry I don’t sound that good, you know what I mean, you make a call and think, boy, I am just not sure. Now you know. Take your phone out in the woods for a walk if you can. Set it a few feet away so you get that woodsy echo and make it real! Thanks for making an amazing app. This is the most important tool you can use. Nothing else compares. If you can make it there because you’re conditioned, and you have the hunting implement tuned and are accurate, and you can sleep in the outdoors, and have your food down pat and are ready, it all means nothing if you can’t call. You’re just on a camping trip. Do yourself the favor. Buy it. Guaranteed you’ll never regret it.